Telephone numbers in Luxembourg employ a closed dialling system, whereby all numbers are dialed in the same format whether from within Luxembourg or from abroad. There is no trunk like "0". The incumbent operator employed an open numbering plan with numbers of varying lengths, where a two-digit area identifier is followed by one to four digits, all 6 digits formed the subscriber number. This was changed by the introduction of a new numbering plan in 1999. Telephone numbers introduced since May 2000 by the incumbent operator begin with "2" (generally 26, 24 and recently 27) followed by two to 6 digits. The area identifier is still present and generally following the 26, 27 or 24, however numbers can be taken to any other area. In Luxembourg PBX extensions were generally appended to the main number, hence the need for an open numbering plan. As more PBX were installed in offices in Luxembourg compared to areas with almost exclusively residential customers, this led to the impression that numbers in Luxembourg City would be longer than 6 digits. The regulator has therefore decided that new phone numbers must be 8 digits long including the extension. In order to fulfill this requirement, operators have to shorten a customer's phone number to 3-6 digits, to allow 2-5 digit extensions. Mobile telephone numbers always carry a three-digit network code, in the format "6x1", which is followed by six digits. The leading "6" of these numbers is not omitted when dialing from abroad. These codes were introduced on 1 September 2006, replacing codes in the format "0x1". Existing numbers were converted to the new format. Until January 2019, the voice mail number where following the below rule: Each mobile number has an equivalent voicemail number, the network code is in the format "6x8" (note: except for Join Experience, they are not using it). The Australian telephone numbering plan describes the allocation of phone numbers in Australia. It has changed many times, the most recent major reorganisation by the Australian Communications and Media Authority taking place between 1994 and 1998. Telephone numbers in China are organized according to the Chinese Telephone Code Plan. The numerical formats of landlines and mobile phones are different: landlines have area-codes, whereas mobile phones do not. In major cities, landline-numbers consist of a two-digit area code followed by an eight-digit inner-number. In other places, landline-numbers consist of a three-digit area code followed by a seven- or eight-digit inner-number. The numbers of mobile phones consist of eleven digits. Numbers on the Irish Telephone Numbering Plan are regulated and assigned to operators by ComReg. The dialling plan for mobile networks and new landline operators is closed; all subscriber numbers must be dialled in full. For landline numbers starting with 02, the dialling plan used to be open; the trunk digit and area code could be omitted if the caller was in the same area code as the callee. However, starting May 3, 2008, all landline numbers must be dialled in full. Portugal changed to a closed telephone numbering plan in 31 October 1999. Previously, the trunk prefix was '0', but this was dropped. 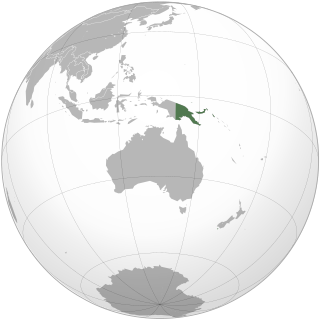 Telephone numbers in Papua New Guinea consist of a eight digit national number, which is used for fixed, mobile and special rate services. There are no access codes for trunk services. Iraq area codes can be 1 or 2 digits and the subscriber numbers are usually 6 digits. In Baghdad and some other governorates, they are 7 digits. The mobile numbers have 10 digits, beginning with the 3-digit code of each operator followed by 7 digits. There were changes to the telephone numbering plan in Georgia which were expected to be completed by the end of 2011. This article is being updated after all the major changes, also the dates of these changes are indicated.